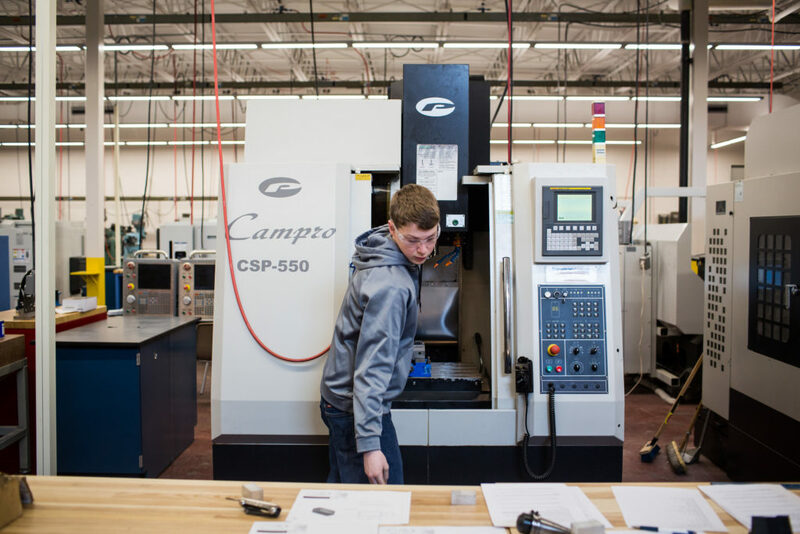 The Advanced Certificate in Precision Machining Technology offers advanced machining theories and applications required to set up and run multi-axis computer numeric control (CNC) equipment. The certificate prepares students for advanced- level positions in the machining field related to multi-axis CNC equipment. 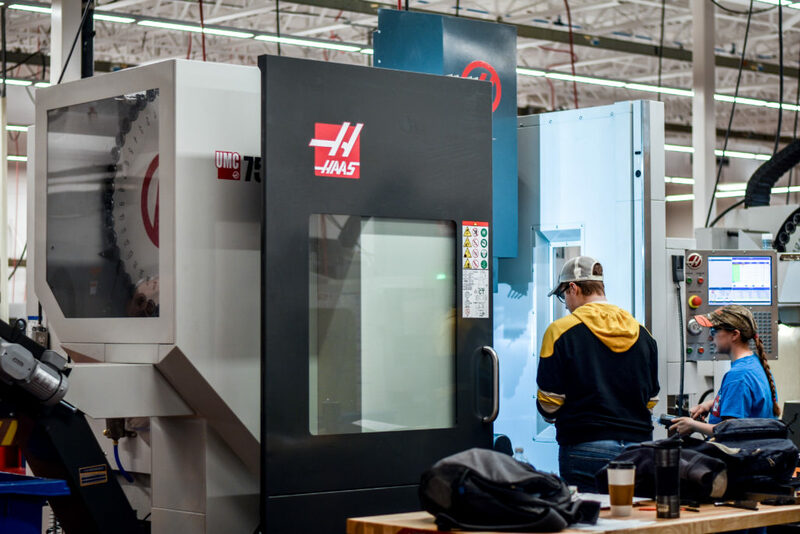 Programming, setup, and operations of 4-axis vertical and horizontal milling centers, 5-axis vertical milling centers, and live tooling lathes are covered. Students are exposed to the advanced inspection methods that are required to inspect parts made on these machines. 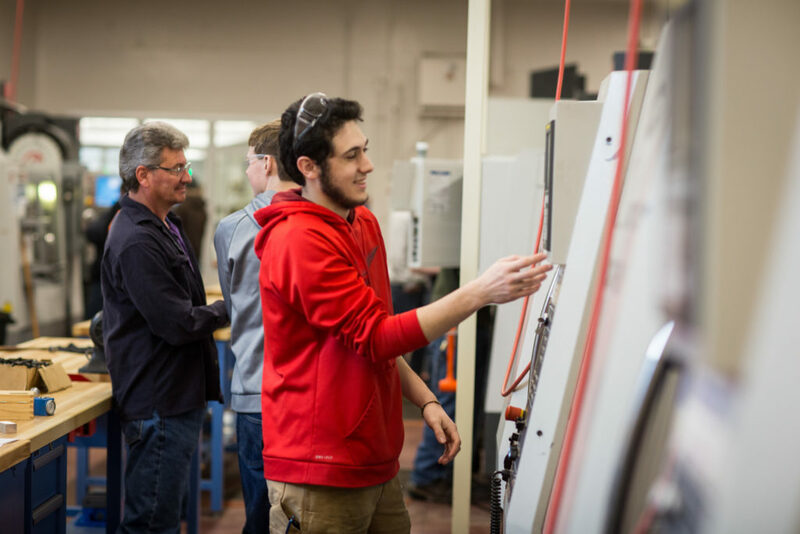 Students must have an associate or higher degree in machining or equivalent professional credentials as approved by the Academic Dean. Program 3-D, 4 and 5-axis, horizontal and vertical, and live tooling equipment. Describe and demonstrate inspection process. Manage tool selection based on job variables. Prepare cutting tool calculations from manufacturer’s book recommendations. Set up and operate CNC and live tooling machines. Describe function of a coordinate measuring machine. Inspect, adjust and complete a machine-job package. Please see the College Catalog for all program details and requirements.